Traumatic brain injury (TBI) is one of the major causes of death and disability. TBI is initially characterized by the activation of a group of mechanisms that induces spontaneous recovery and brain reorganization. 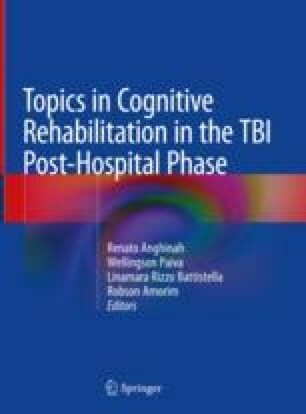 It has been suggested that processes such as neurogenesis, synaptogenesis and plasticity (reorganization of connectivity), and angiogenesis play a role in spontaneous recovery after TBI. Adult neurogenesis has been described in the subventricular zone of the lateral ventricle and in the subgranular zone of the hippocampus. TBI is characterized by the activation of neurogenesis that is important for the recovery of cognitive and learning skills. Although the exact mechanisms by which TBI can induce spontaneous recovery and brain reorganization have not been fully established, it is thought that activation of several signaling pathways by growth factors, signaling molecules, and cytokines that are produced after TBI play a role. This chapter will focus on reviewing how these molecules affect cell proliferation, viability, commitment, guidance, and location of neural stem cells in the two most characterized neurogenic niches (subventricular and subgranular zones). Additionally other mechanisms of brain reorganization will be reviewed. This chapter was funded by Grant 4800 “BDNF-TrkB signaling regulation of GABAergic neurotransmission” from Vicerrectoria de Investigaciones at Pontificia Universidad Javeriana.